Yesterday we lost a member of our local Bernie community and a public servant, both of whom stood up against hate. Taliesin Myrddin Namkai Meche and Rick Best were killed by a known white supremacist after defending two Muslim women from the nazi’s bigotry and violence. BerniePDX stands in solidarity with all those who actively oppose racism and xenophobia. We must not let the cries for unity in this time silence the voices of those who are targeted because of the way they look or their religion. We cannot forget that our state, which is so often hailed as progressive, has one of the most racist histories in the country. Our deepest condolences are with the family and friends of the victims. 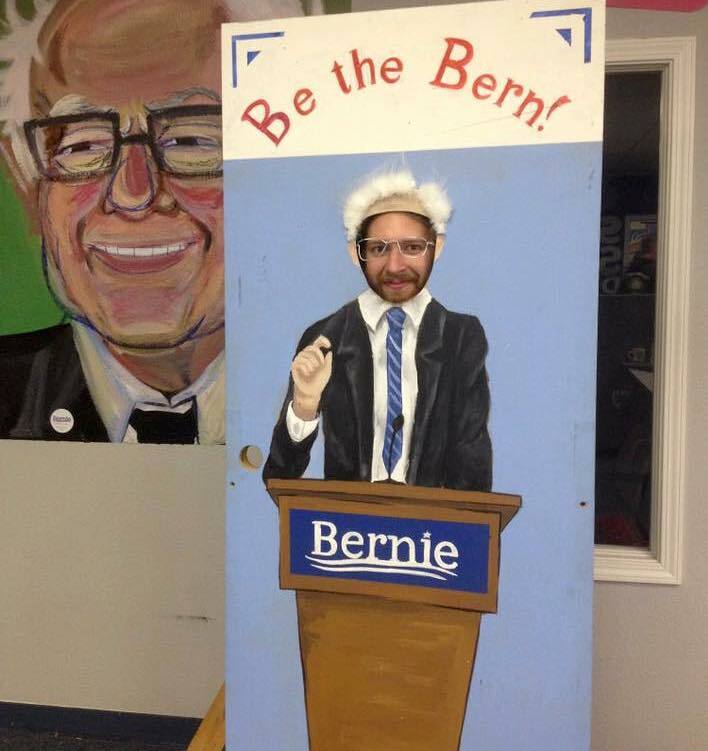 Taliesin Myrddin Namkai Meche at the Bernie Sanders Oregon Campaign Headquarters in Portland. Join Congressman Blumenauer for Public Forum on: Universal health care. Medicare for all. Single-payer. What would these mean for you and your family? How can we make these proposals law? Doors open at 5:00 p.m. Seated capacity will be limited at this event. Please plan accordingly. Tuesday, May 23, 2017: BerniePDX Post-Election Meeting, What’s Next? What’s next after the election? Furthering Bernie’s agenda locally, of course! We’ll learn about a city-wide ballot initiative that will tax corporations to pay for renewable energy infrastructure projects! We’ll discuss the upcoming grassroots rally and budget-hearing in Salem! We’ll also hear about the status of Single-Payer Universal Healthcare in the state and country in preparation for Rep. Blumenauer’s town hall on the topic! Heard the term “Single-Payer” a lot, but not quite sure what it entails? Come learn the details! Last night was a HUGE win for local progressive politics!! All of the candidates BerniePDX endorsed in the May Special Election won their elections!!!! Proof that grassroots, people-powered campaigns WORK!! Thank you for knocking doors, making calls, donating, texting, attending meetings and events, posting on social media, spreading the word, voting, and making BerniePDX a force for progressive political change! 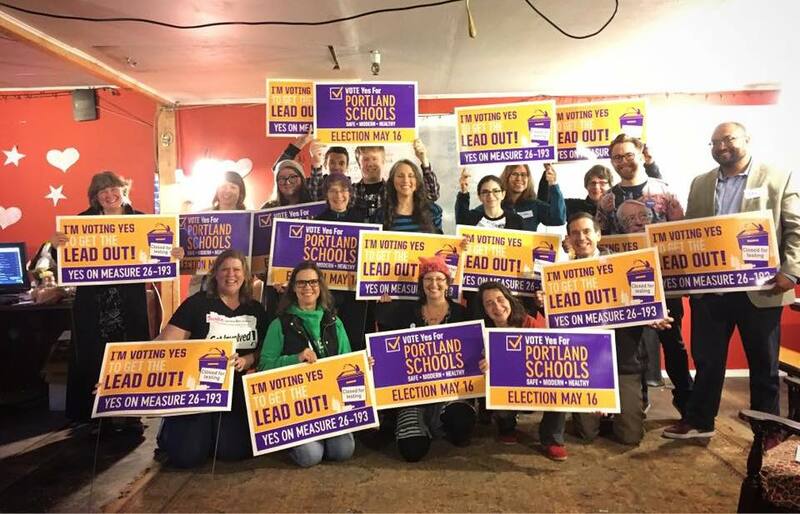 Congratulations to our endorsees: New Portland School Board members Rita Moore & Scott Bailey; new Portland Community College Board Director Valdez Bravo; and new David Douglas School Board members Stephanie D. Stephens and Ana Del Rocío!! Special thank you to Our Revolution for supporting Rita and Valdez! ALL of the Portland initiatives also passed!! Portland students will soon be able to drink out of the water fountains at their schools thanks to the School Bond! The city auditor will have more independence to properly audit city agencies, and short-term vacation rentals will be taxed the same amount as hotels to help fund public services! See you Tuesday at 7pm (5040 SE Milwaukie Ave)! Thank you for continuing the progressive Political Revolution!! Ballots are due by 8:00pm Tuesday, May 16! Sign your ballot envelope and drop it off by 8:00pm TUESDAY, and please message your friends! Only 17% of Multnomah County voters have voted so far! It’s too late to mail your ballot. Thanks for voting! The May Special Election is on May 16th and we need to turn out the vote for the grassroots progressive candidates endorsed by BerniePDX! Join us for a fun, empowering evening of bringing change to the local level! Bring snacks and drinks if you can. Visit BerniePDX.us/our-endorsees to see the full list of endorsements and the results from our ballot party last week!